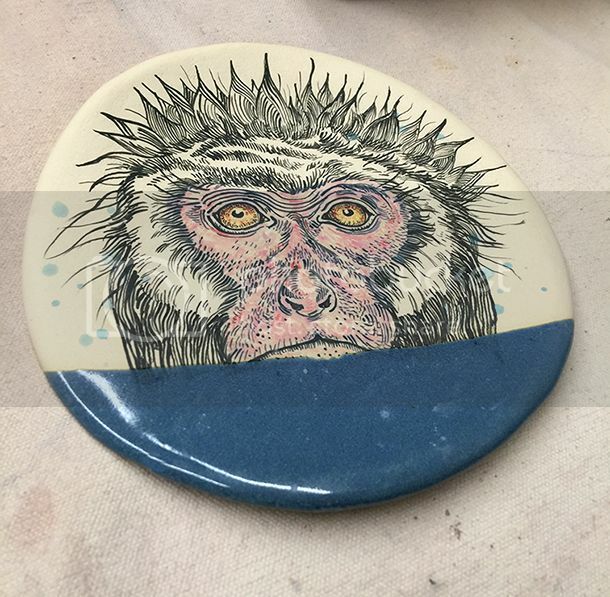 This is number 2 in my series of water ceramics. It's a snow monkey hanging out in a hot springs. These "half underwater" plates are awesome.